Stansted Airport (STN) is located 35 miles (56 kilometers) to the northeast of central London. 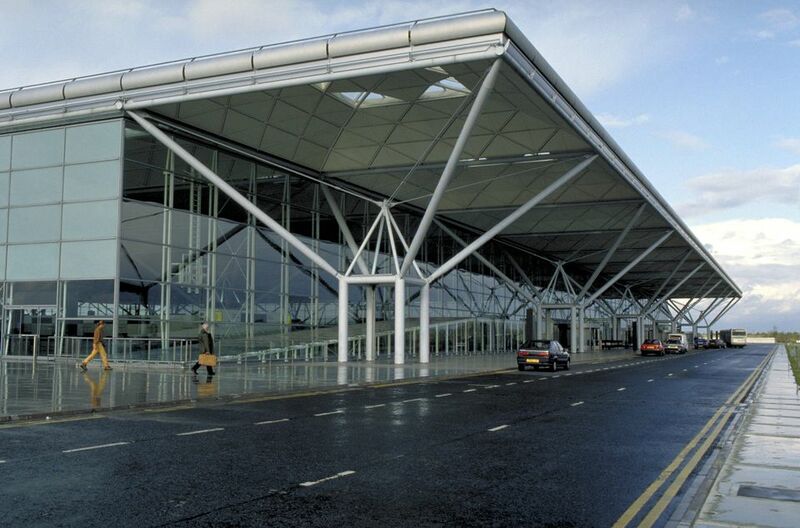 London Stansted is London's third international gateway and one of the fastest growing airports in Europe. It is home to many of the UK's low-cost airlines, serving mostly European and Mediterranean destinations. The Stansted Express is the quickest way into central London. There are between two and four trains an hour, depending on the time of day, with a journey time of 45–50 minutes to Liverpool Street station. You can book tickets online or via the Stansted Express app—people who book early oftentimes get discounts on tickets. Greater Anglia operates an hourly off-peak service (Monday to Saturday only) to and from Stratford and Tottenham Hale, where you can connect to the London Underground, London Overground, and DLR. There are a number of bus operators that connect Stansted with Central London. National Express runs coaches to Victoria (via Baker Street and Marble Arch), departing every 15–30 minutes, with a travel time of about 90 minutes, and to Liverpool Street (via Stratford), departing every 30 minutes and with a travel time of 80 minutes (50 minutes to Stratford). Of course, these times can vary wildly from day to day because of traffic or construction work on the road. You can book tickets online, via phone, at the station, or even onboard from your driver. There is an "express" coach to Stansted Airport that goes via Golders Green, too. Terravision service A50 operates every 30 minutes to and from Victoria. Journey time is 75 minutes, but always allow extra time because of traffic. The coaches are full size and quite comfortable. Do note that the coach does not leave from Victoria Coach Station. Check the map for bus stop locations. easyBus operates from Gloucester Place to Stansted every 20 minutes and from Stansted to Baker Street every 20 minutes, 24 hours a day. While ticket prices are quite cheap, the general feedback from passengers skews negative—the buses are small and possibly not the most comfortable ride you'll ever have. As for any bus journey, allow for extra travel time in case you hit traffic. With all of the bus services, it is usually cheapest to buy your ticket online many weeks in advance. If you've not booked ahead, you can ask the driver for the onboard fare. You can find a queue of black cabs outside the airport. The fare is metered, but aware about extra charges for late night or weekend journeys. Tipping is not compulsory, but 10 percent is considered the norm. Expect to pay around £100 or more to get to Central London. Only use a reputable mini-cab and never use unauthorized drivers who offer their services at airports or stations. You can also pre-book private transportation from a number of operators—this is a great option if you need a larger vehicle to be able to carry 6–8 passengers. It might be the most expensive option, depending on how many people are splitting the tab, but it's one of the easiest ways to get to Central London.